Prepare your clan of Vikings for the season of exploration! Your objective is to set sail on board the ships best equipped for a successful voyage. Before you embark, you will need to win the favor of the strongest Vikings by offering them barrels of your finest drink in their honor. But pay close attention: clever tricks and heartless malice are common among the clans. Your rivals will do their best to modify the composition and equipment of each ship, as well as the value of its merchandise. Do you have what it takes to become the most influential clan of the fjord? 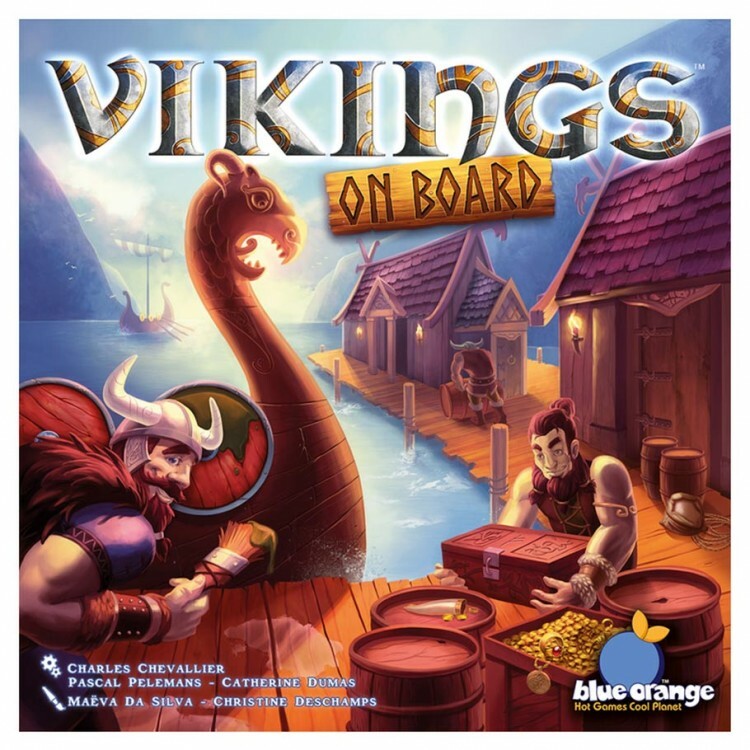 Vikings on Board is a family strategy game in which players try to outperform their opponents by using their Vikings to claim the actions that most benefits their own voyage. After seven ships have set sail, the player with the most points wins the game.